One of the most impressive compound bows on the market today, the SAS Rage also happens to be one of the archery world’s best kept secrets. 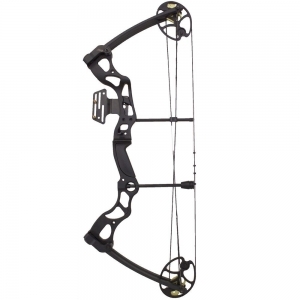 Nowhere near as well-known as some of the other “household” brands in the archery realm, this SAS bow is capable of outshooting most every other option at this price point – and it does so with the kind of power and accuracy you’d expect out of a 70lb compound bow. Filled to the brim with impressive special features that help you get the most out of every shot, the SAS Rage is everything experienced archers are looking for in a compound bow while still offering the durability and “workability” you’d expect from a survival compound, too. Relatively compact but capable of putting out a tremendous punch when the arrow finally reaches its target, you’re going to be able to enjoy excellent accuracy and dependability without any issues whatsoever. While not as finely tuned as competitive grade bows are, this is an archers dream for hunting and survival needs. Want to see everything about the Rage? Click here to check it out on Amazon! Thanks to the fact that this bow isn’t a “name brand”, you’re able to get the same power and performance out of a lower cost bow that you’d usually only get out of one that costs $800 or more – without any let does or drawbacks whatsoever. Yes, yes that sounds almost too good to be true. And most folks are going to wonder whether or not this bow can really live up the hype. But we can tell you in no uncertain terms that this is something really, really special – a powerhouse that delivers its payload with lightning like speed and unparalled accuracy. Fully adjustable, you might not want to put this bow in the hands of a newbie archer right off the bat, but in the hands of someone that’s been shooting a bow and arrow for a while this can be a very exciting upgrade. There’s the ability to mount optics and accessories, full tension system that can be adjusted on the fly out in the bush, and a price point that is almost too good to be true. You’re going to love the SAS Rage, that’s for sure. Even though this SAS Rage happens to be one of the best bows we’ve put our hands on in quite a while (which is saying something, considering how competitive and flooded with product the compound bow world is right now), it’s not all sunshine and roses. Some have complained about the low quality paint and finish job on this bow, and those issues aren’t unfounded. Some have also complained that the limbs are a little bit too flexible and wobbly right out of the box, but that’s really to be expected – and a touch of tension will get you squared away in a hurry. The biggest beef most people have is that the SAS Rage doesn’t have the same kind of brand cache that other well-known brands have. Your friends might knock you for grabbing a “no-name” bow, but once they see this thing in action they’re going to be singing a different tune for sure! The customer opinion of this SAS Rage bow is nothing short of exceptional. Garnering literally hundreds and hundreds of positive reviews all over the web, the folks that have had the chance to put this SAS Rage bow into action almost universally love everything it brings to the table (and the price point isn’t too bad, either!). If you’re looking for a powerhouse compound bow capable of dropping large game and incredible accuracy, you’re going to want to make sure you pull the trigger on the SAS Rage bow.